Superior milk cows grow from healthy, happy calves. Summit Calf Ranch is where Tuls Dairies’ future milk cows grow and mature. Summit Calf Ranch was built in 2016 and began caring for its first calves in 2017. 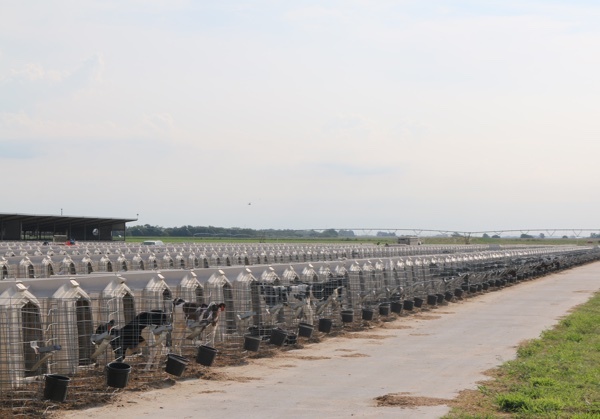 The ranch cares for approximately 6,000 calves from newborn to five months old. All newborn calves are bottle fed for their first two months and great attention is spent to meet the health and well-being needs of each calf. Summit Calf Ranch provides excellent care for calves’ first formative months. 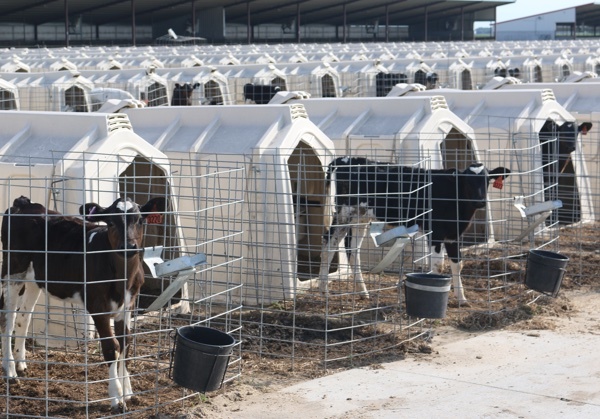 Summit Calf Ranch has 3,200 hutches for newborn calves. 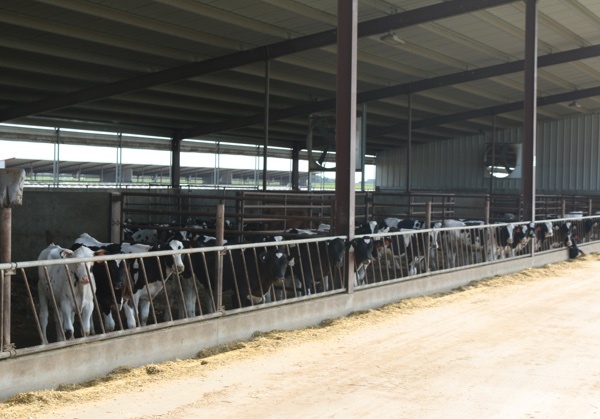 When calves move from a diet of milk to a specially balanced nutrition plan, they live in mono-sloped barns. Summit Calf Ranch features six 540 foot barns for these maturing calves. 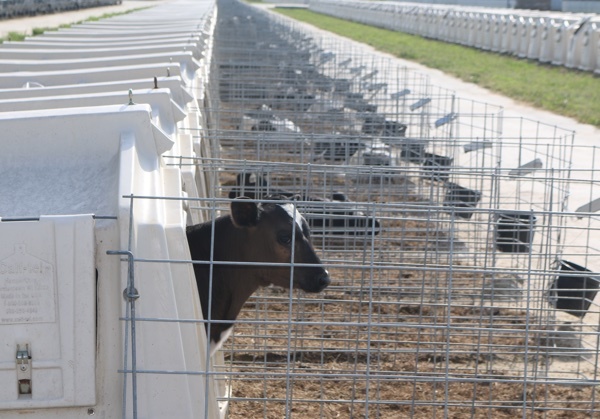 Six 540 foot mono-sloped barns for more mature calves.